Colour measurement based on the standard CIELab or ICUMSA- standard. Continuous online measurment of colours. 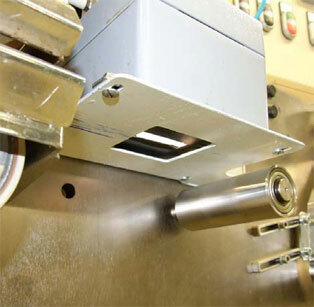 Colour measurement of products with smooth and planar surfaces, no abrasive or bulk material. The CIELab-System is a colour space, which was specified by the International Commission on Illumination CIE (Commission Internationale d'Eclairage) in the year 1976. It was further derived from the CIE colour system and is based on the CIE “master” space which was introduced in the year 1931. 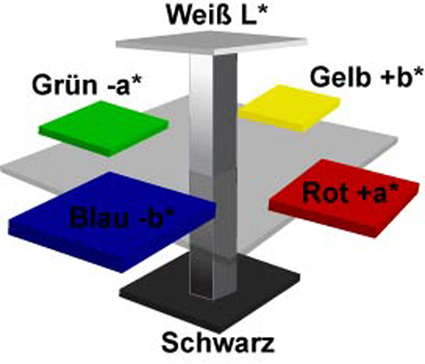 CIELab system is today the most common colour system. On the basis of this equipment independent 3D-colour model, colour differences can be identified numerically. The model is impartial and complies nearly the human perceptiveness, by adapting the geometrical distance between two colours in the colour space with the human perception. The measured spectral curves will be reduces on three coordinates. L* ,the light intensity, from 0 = absolute black to 100 = absolute white. a* describes the red - green axis. Negative values are green, the positives are red. b* describes the yellow - blue axis. Negative values are blue, the positives are yellow. Therewith the colour can be accurately described in the colour space. The calculation is effected under consideration of a standard light and an ordinary observer, that is, the colour values are calculated under defined physical conditions. Continuous, controlled LED illumination and identification of the product colour in the colour space after CIELab or ICUMSA- standard. 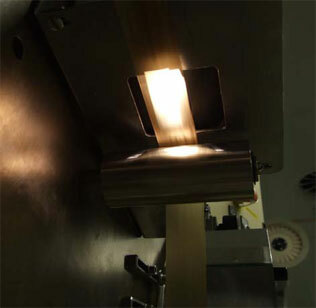 The evaluation results in the visible light sector from 390 - 720 nm. The distance between sensor system and product has to be kept constant. The four mesurement results L*, a*, b* and dE are avalible at four separate 04/20 mA channels. 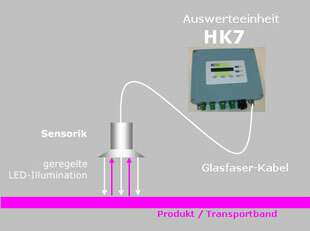 The sensor system is located at a constant distance over the product surface. The product surface is aproximatively smooth and planar. The products (matals, Textiles, food, plastics) are moving on a conveyor belt under the sensor system. Fine powder products are planed by a scraper. 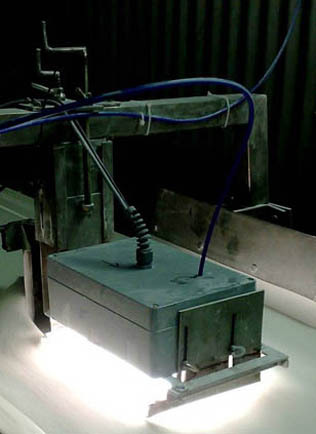 For the attainment of top-quality measurement results the environment has to be dust-free. With the option “compressed-air“ the measurement can be kept free of dust. The range of feasible applications is very large. The material of the product is not relevant, but the surface has to be aproximatively smooth and planar. In difference to spectrophotometers from the competition, the HK7 is not operating with Xenon-Flashlight. 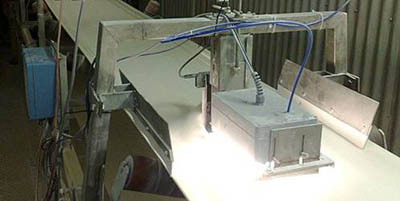 The controlled LED illumination gives an improved stability of the measurement. The calibration of the HK7 is done with our easy to use Colourmaster software.